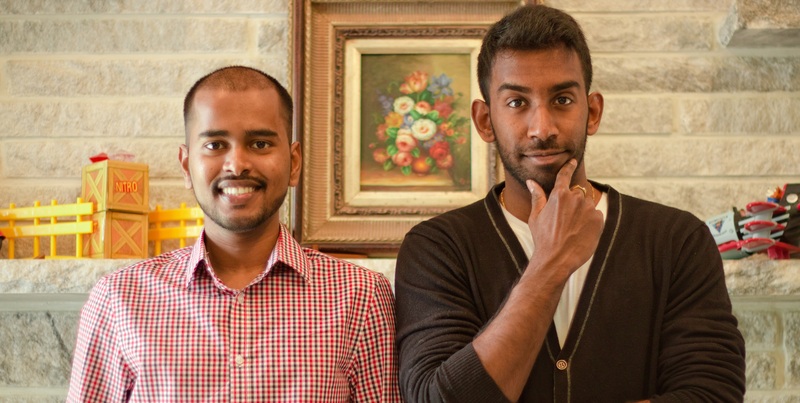 This week, we’ve brought you Krusan Sivanayagam and Tharshan Raj ! 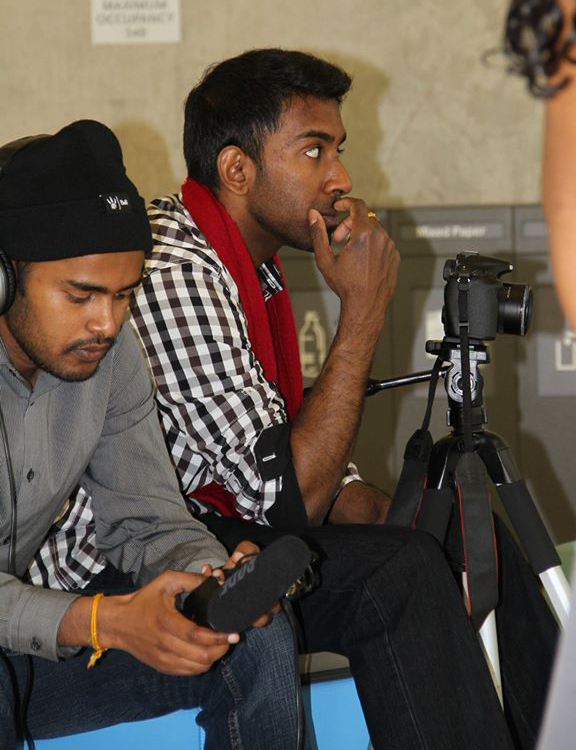 Krusan Sivanayagam and Tharshan Raj are the power duo behind Basement Reels – a new video production team. Krusan graduated in 2014 with a Mechanical Engineering degree from the University of Waterloo. He has always loved directing, acting, writing, and turning his ideas into a reality through videos. Since he graduated, he wanted to see how far he could go with this hobby of his, so he started to create videos for YouTube and also film festivals. Aside from filming, Krusan is an outdoors person who loves all kinds of sports, going to the gym, and hanging out with his friends. Tharshan is in his final semester at Ryerson University pursuing a BA in Public Administration & Governance. His passion is acting and being able to explore various emotions that are not easily experienced in reality. He also likes to write creative non-fiction and fiction short stories. CTYA Blogs: Tell us about Basement Reels! A snapshot from the “Tamil People Talking S%#t” Video. Basement Reels runs like a two person team, with support from everyone around us. I (Krusan) do most of the direction, cinematography and editing for Basement Reels, as well as creative writing. Tharshan is the creative brain who brings forth a lot of ideas, and of course is the main face/superstar actor of our team. Basement Reels was started as a way to get us to produce videos, practice, and get audience feedback. Late December 2014, Tharshan came to me with ideas for videos related to a Tamil/South Asian audience. He was passionate about writing and acting these ideas out, and I was passionate about producing videos, so our talents just meshed together nicely. Since then, we’ve found a working system to write great ideas together and produce them quickly while maintaining good quality. Even though we are a two person team, our friends are involved in every video we make. We are fortunate to be surrounded by people who are also interested in making videos. They help with shooting, acting, and even suggest ideas for future videos. We’ve been getting really good feedback from our audience, and some of our videos have reached a global scale, which is an amazing surprise. This is a passion project, and we want to keep this moving as far as we can. Hopefully it can turn from just a passion project into a career. CTYA Blogs: To date, which video was your favourite to shoot and why? One of our favourite videos to shoot was the “Trying to Speak Tamil Fail” video, because it is all too relatable. The Tamil community is now wide spread in different countries, where the younger Tamil generations are learning Tamil as a second language sometimes. As a result, you sometimes see Tamil speaking people put down those who can’t speak their mother tongue. We wanted to show this idea in a short and funny video. CTYA Blogs: How do you come up with ideas to make new videos? Our ideas come from real life experiences mostly. If there is an idea that we find funny or relatable, we turn it into a script and move forward with it. Our close friends are always eager to offer ideas too, and we put our Basement Reels spin on it to turn it into a video. CTYA Blogs: If you could have any one person in the world star in one of your clips, who would it be and why? (Tharshan) I would have actor Kamal Hassan play a role in one of our videos. We feel that he would do justice to a particular character more than anyone else. Also we just love him for experimenting with cinema constantly and we feel that it defines us more than anything. CTYA Blogs: Recently, you shot the hilarious Thaalam 2015 Promo video for CTYA. Tell us about that experience. Working on the Thaalam promo was one of the most fun shoots we have been a part of. I am a fan of dance and Tamil music, and I always wanted to do a music video that could combine those things. When CTYA gave us the opportunity to shoot their promo for Thaalam, we seized it and everyone who came that day put so much effort into the video. The Thaalam team was a blast to work with. I look forward to making more dance/music videos and also working with the Thaalam team in the future. CTYA Blogs: What advice do you have to upcoming youth interested in making short clips or films? Surround yourself by people who share your interest and would work towards common goals. Having that kind of support amongst friends is priceless, and it can get you a long way. Also, just get out there and start making videos. It’s a good way to practice, learn and improve instead of waiting for things to happen. The promising future of a growing, thriving, and supportive community. Basement Reels is an emerging production company that is sure to compete with well-known producers around the world one day. Though this seems like a long way, it is possible with hard work and the love we have for cinema. We are hard at work writing quality scripts that will engage audiences, and are producing awesome videos that are sure to be fun to watch. We’ve gotten so much love and support from people around the world, and it is the best feeling for artists like us. We want to continue the dream with your support, so follow us on whatever platform you can to show your love! You can find Basement Reels on YouTube, Facebook, Twitter, Instagram, and Vine! Thank you for joining us today Krusan and Tharshan! We wish you the best for continued success through Basement Reels! This entry was posted on Friday, April 17th, 2015 at 10:44 am	and is filed under Thulirkal. You can follow any responses to this entry through the RSS 2.0 feed. You can leave a response, or trackback from your own site.